In a tantalisingly close result, the British public voted to leave the European Union in an advisory referendum on 23rd June much to the astonishment of the world. The implications of the vote have raised numerous constitutional questions and left many anxiously wondering what effects it could pose for the UK and global technology sector as a whole. The lasting consequences won’t be known for many years but the current state of affairs is demonstrating some immediate ramifications. Within hours of the result, shares in technology companies have plummeted alongside the falling value of the pound and the FTSE 100. BT saw a 9.73% drop in shares, TalkTalk saw more than a 12% drop and Capita, an international outsourcing firm, has seen an 11.65% drop. Within the tech sector, London has been widely renowned as the digital capital of Europe and one of the most diverse technology ecosystems in the world – and its future as such is largely hanging in the balance. 1.56 million people are currently estimated to being employed in digital companies in the UK, with 328,000 of those working in London alone. Tech City forecast digital employment to grow by 5.4% by 2020. A percentage growth expected to be higher than that of all other occupations combined. However, Britain’s removal rom the European Union can greatly impact these growth expectations. One of the greatest concerns posed in the face of Brexit is what it means for companies and their abilities to hire talent and tap into investment opportunities. Once outside the EU, the UK will no longer benefit from the free flow of skilled workers coming out of the European Union. Large Tech Giants like Facebook, Apple and Amazon have relied on our immigration policies, building large offices in the UK as a means to take advantage of and recruit from the EU. Roughly 1 in 5 London workers are an EU national, according to Tech Advocates. With access to 500 million skilled personnel (a population greater than the US) revoked, the UK could be faced with a skills shortage; a venture which can cause significant disruption to the tech sector, creating the possibility of a downturn, and the delaying or scaling back of projects that could be vital to the advancement of tech. Many see the UK as a gateway to Europe, and a move out can force companies and workers to cast their eyes elsewhere to pre-empt issues of immigration or restricted trade. All eyes will now be on the UK government to see what kinds of rules and regulations get introduced that can grant EU citizens visas to work within the UK. Europe has sought to craft rules that protect intellectual property and consumer data, eliminate roaming charges and end country-by-country restrictions on content provided by the likes of Netflix. This is referred to as the Digital Single Market (DSM) which is expected to save the EU €415 billion a year. Britain’s decision to leave the EU will ultimately threaten Europe’s effort to create a simplified market in which the UK was its biggest advocate. A Digital Single Movement has the potential to boost domestic tech companies that can rival Silicon Valley. The UK, a substantial market for American Internet companies, is likely to impose its own regulations after Germany’s Finance Minister, Wolfgang Schäuble, ruled out single market access in the face of Brexit. Investors want their companies to expand into new markets as a means to grow in size and revenue; however, they want this to be a process that can be manoeuvred as easy as possible. Exit from the EU has to potential to make this increasingly more difficult as investors will have to contend with two different sets of rules and regulations. Ultimately, fragmentation of the market has the potential to throttle digital scalability and profits, especially for Britain. Brexit makes it increasingly likely that big heavyweights like, France and Germany, craft rules and regulations that make things increasingly difficult for US Tech firms who currently dominate 51% of Europe’s digital market. Europe has a deep-seated insecurity where the US Tech sector is concerned, forging ahead with regulations and lawsuits that address privacy concerns, digital and financial data. Companies like Apple, Google, and Facebook have all faced challenges over issues such as: taxation, antitrust and privacy matters at the hands of the EU. Being part of the European Union has meant that the UK has benefited from a number of data protection laws. One law in particular is extremely vital and yet to be instigated, the ‘Privacy Shield’, a means that enforces US companies to comply with privacy laws that protect European Union citizens. The new regulation could have the potential to prohibit European’s data being used in mass surveillance. Exiting the EU would mean that Britain would have to enforce their own law along the same lines of the ‘Privacy Shield’ to protect Brits and their data. “If the UK wants to trade with the single market on equal terms we would have to prove ‘adequacy’ – in other words, UK data protection standards would have to be equivalent to the EU’s General Data Protection Regulation framework starting in 2018,” said a spokeswoman for the Information Commissioner’s office in a statement. London’s crown as the global capital for FinTech is currently under threat. Currently one of the most promising growth sectors in the UK has become the most hard-hit with the prospect of losing access to European markets. In 2015, the British FinTech sector generated £6.6bn in revenues and attracted roughly £524m in investment. With over 61,000 people employed within the FinTech industry, it is currently larger than rival techhubs in New York, and the combined FinTech workforce of Singapore, Australia and Hong Kong. The inhibited access to the free movement of people and the single market can be largely detrimental to the outcomes of this industry. JPMorgan has stated that it could move an undisclosed number of its 16,000 staff based in the UK to the EU as they may have no choice but to re-organise their business model. 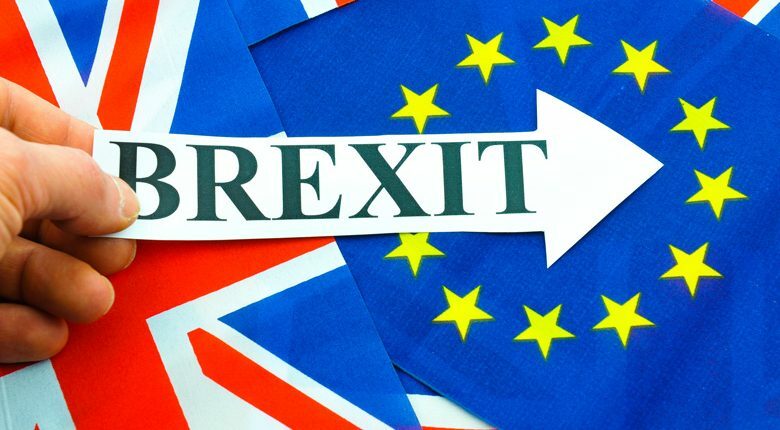 Brexit could make it increasingly more expensive and complex to attract and retain talent from oversees as well as forcing start-up business to seek opportunities outside of the UK to build their businesses. A major concern the industry now faces is its access to funding. Previously, universities and research labs received €8.8 billion of funding from the EU over a 6 year period leading up to 2013. In 2013 alone, the British Private sector received £1.4 billion in funding from the EU. As a result of leaving the EU, it is expected spend will drop significantly. John-David Lovelock, research vice-president at Gartner, has forecast the current growth for UK IT spending to be at 1.7%. “Brexit will drop this figure between 2% and 5%,” which will put spending growth figures in the negative should Lovelock’s predictions be proven correct.